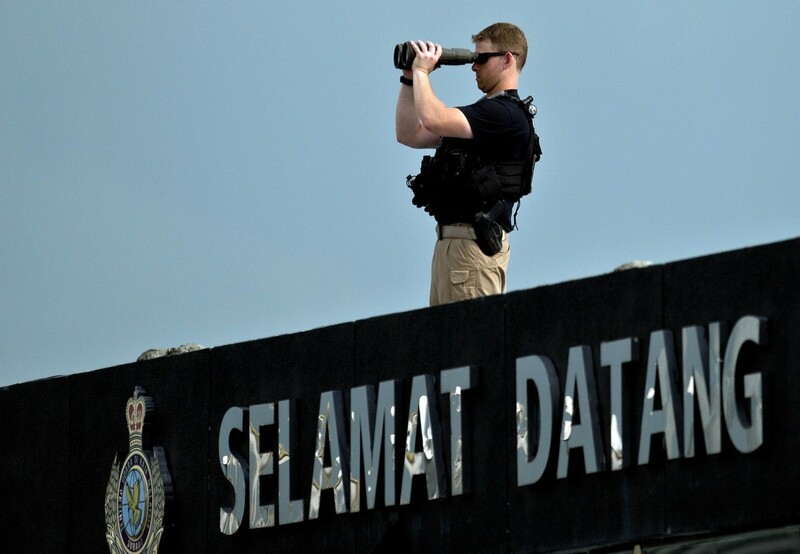 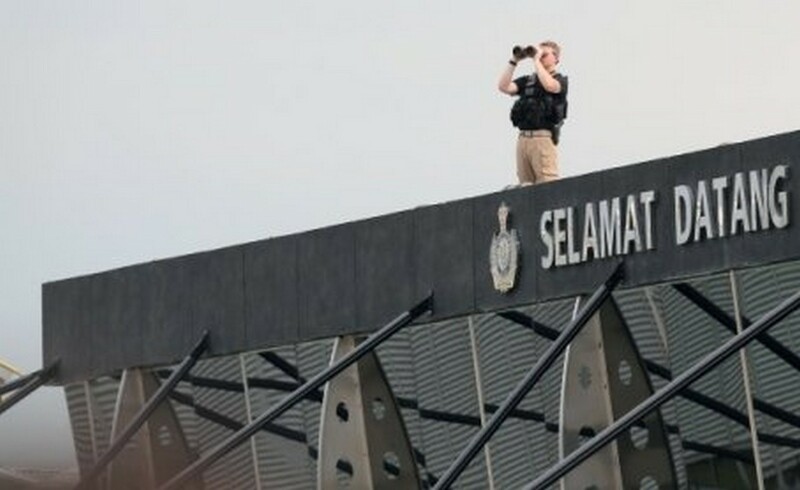 Watching the watchers: US Secret Service snipers keeping a close watch on the arrival from a high vantage point..
KUALA LUMPUR - With rain pouring, there had been fears that the state welcome for US President Barack Obama's at Parliament Square would have to be moved indoors. 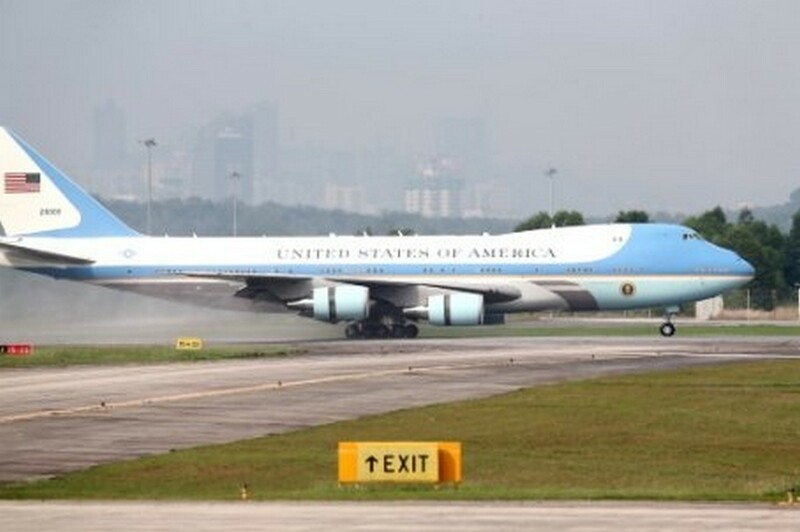 Thankfully, the rain stopped before his arrival. 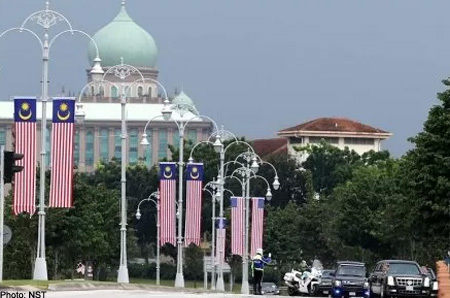 With the afternoon showers ending at about 4pm, parliamentary staffers had enough time to roll out the carpets although the skies remained overcast. 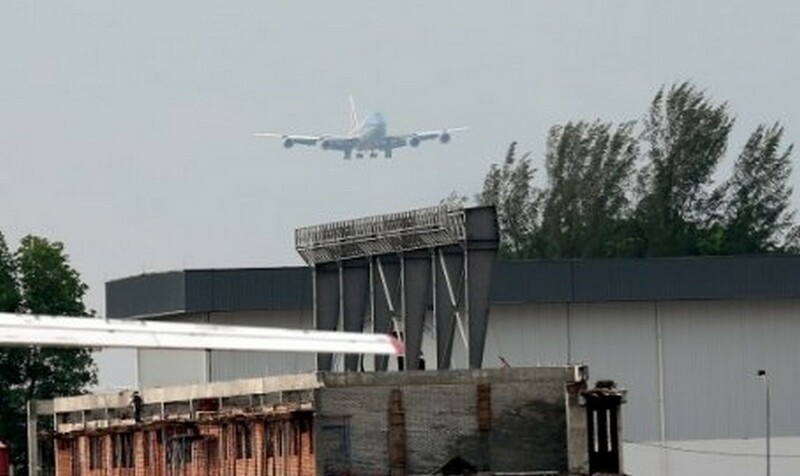 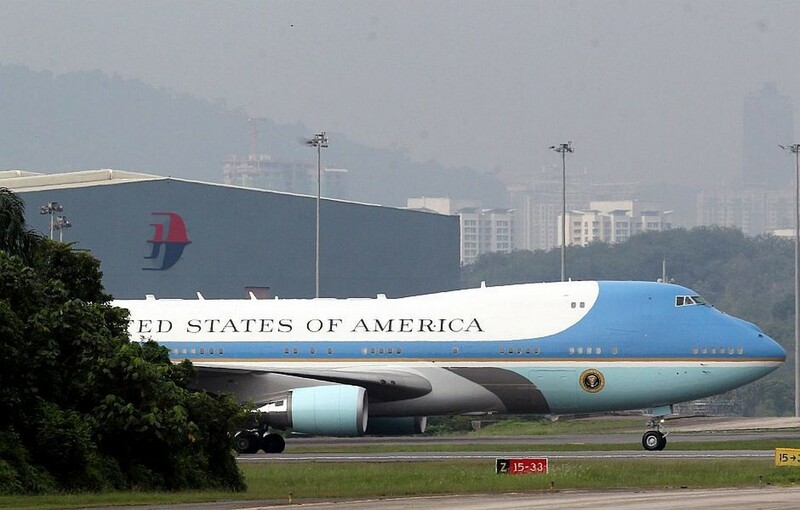 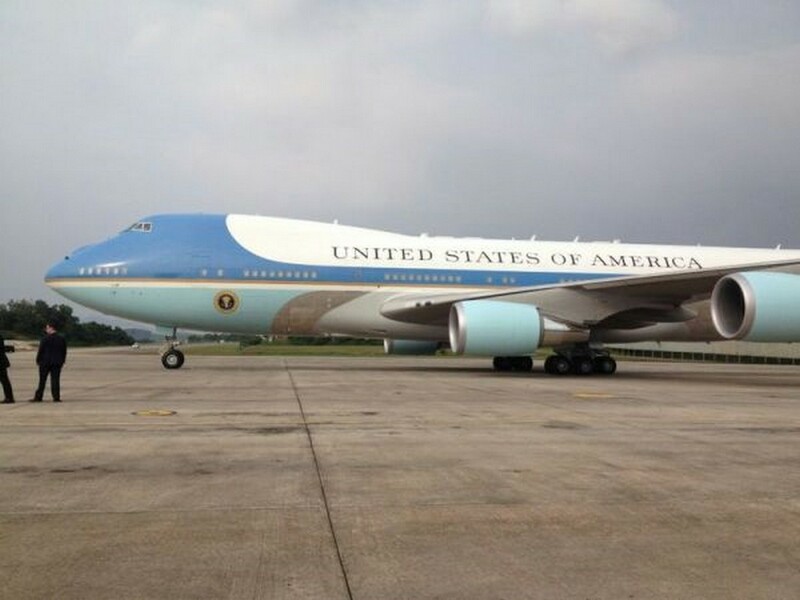 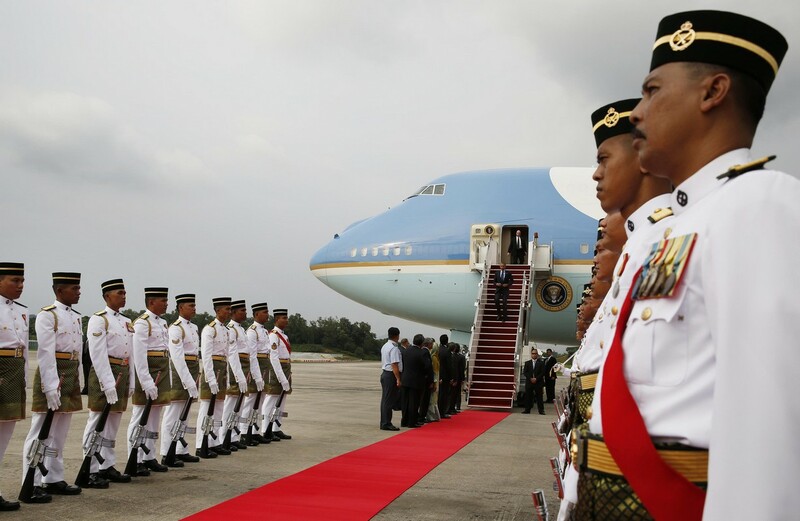 The American leader arrived at about 5.40pm from the RMAF airbase in Subang for the start of the three-day visit to Malaysia. 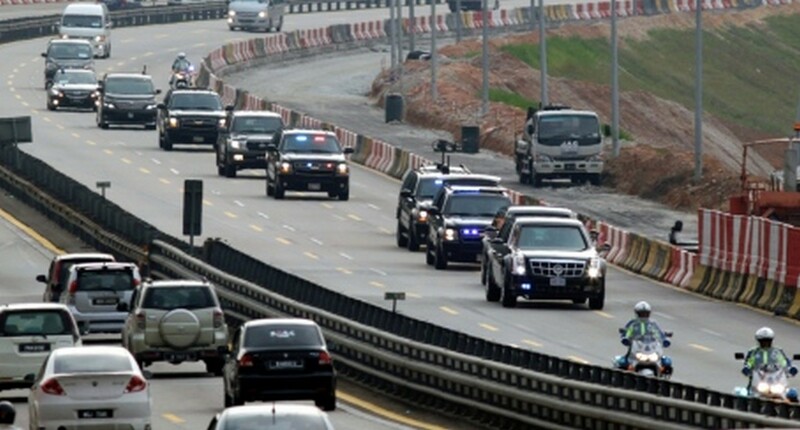 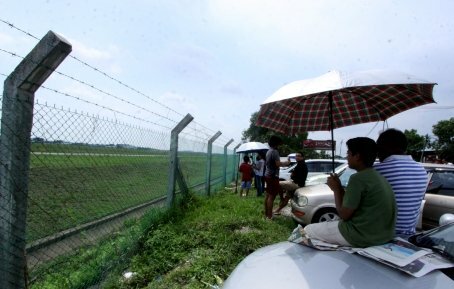 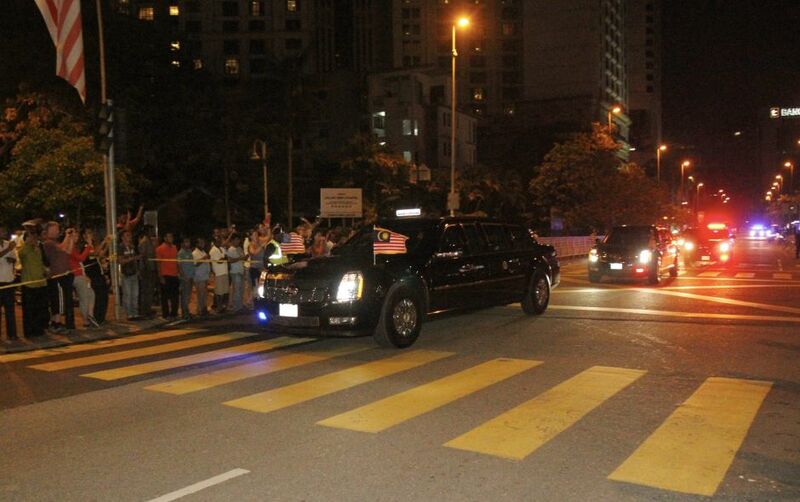 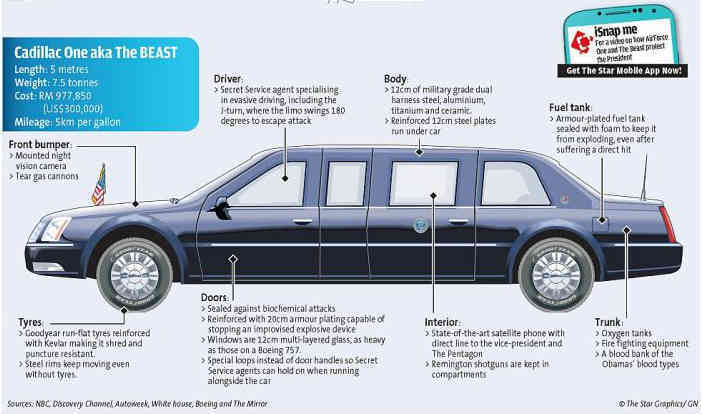 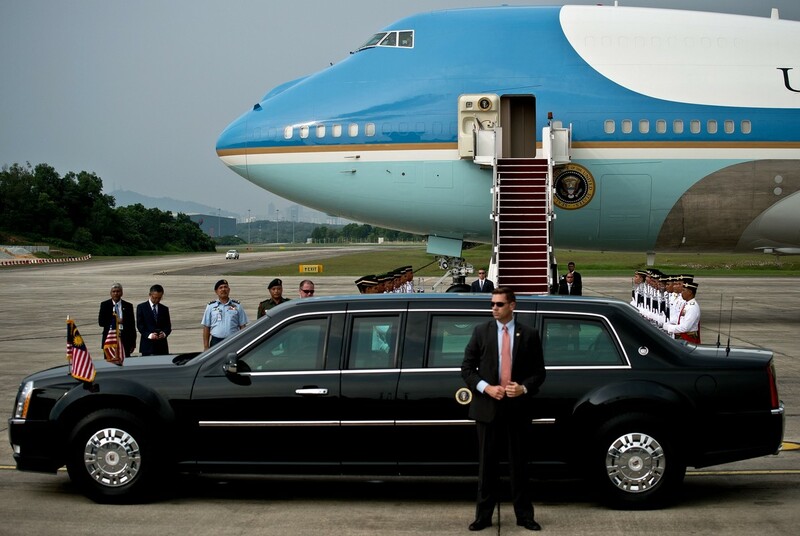 There were two presidential cars among the two dozen cars and outriders in the motorcade. 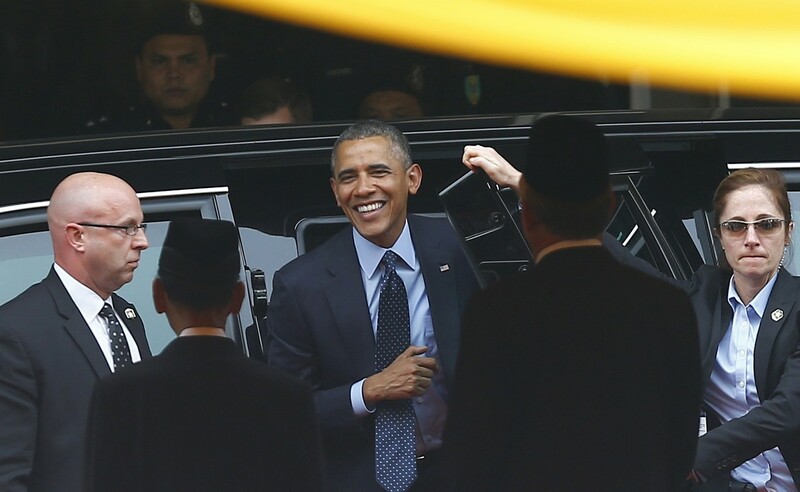 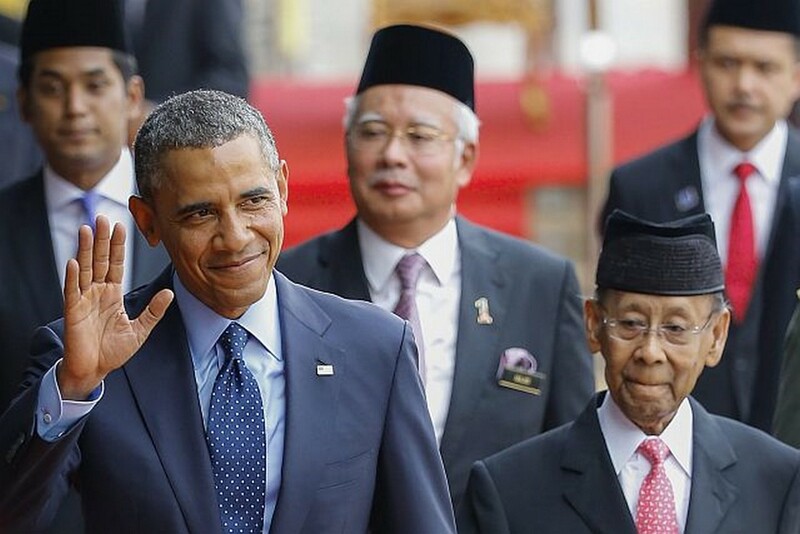 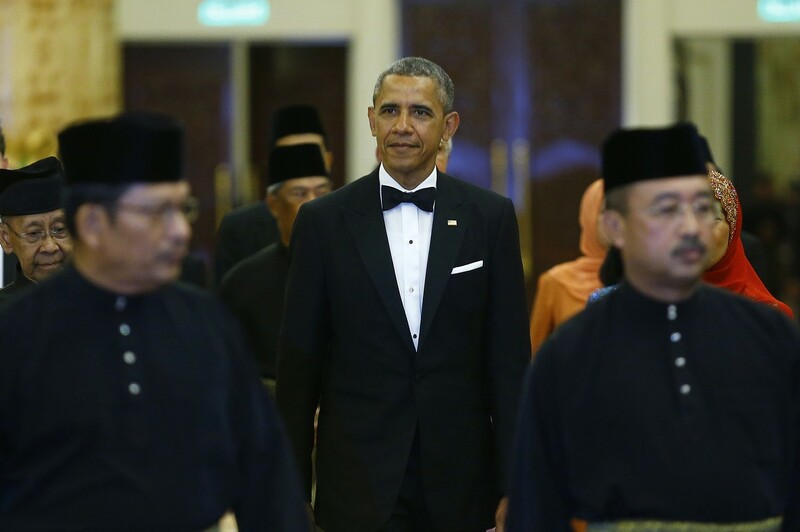 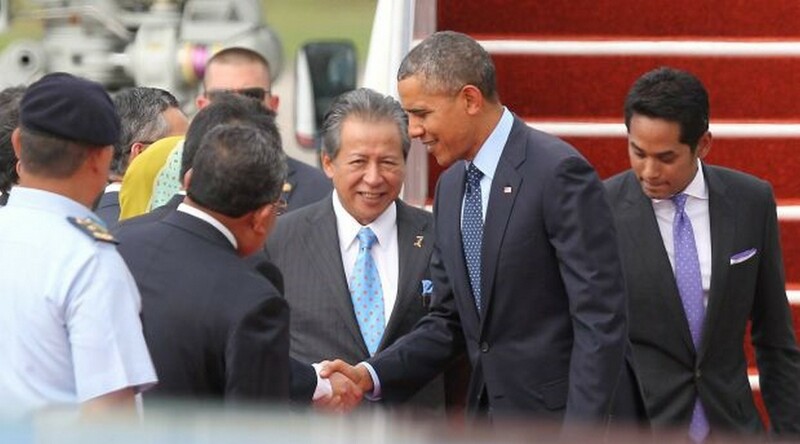 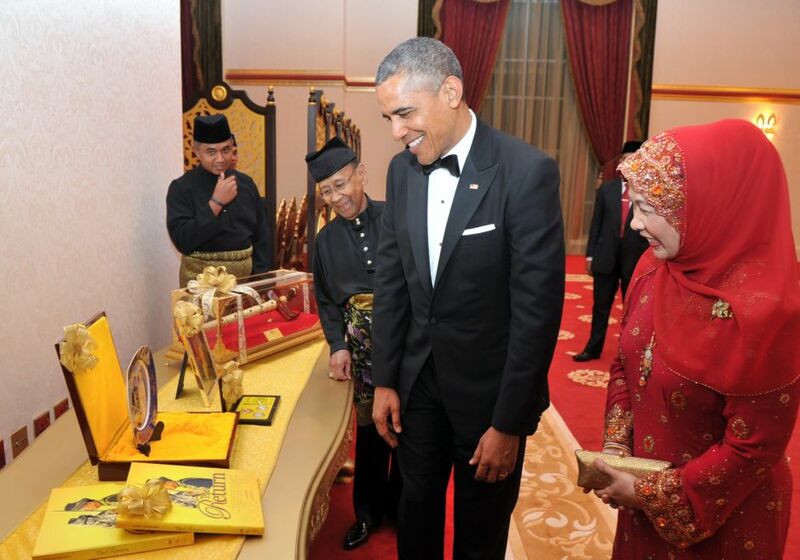 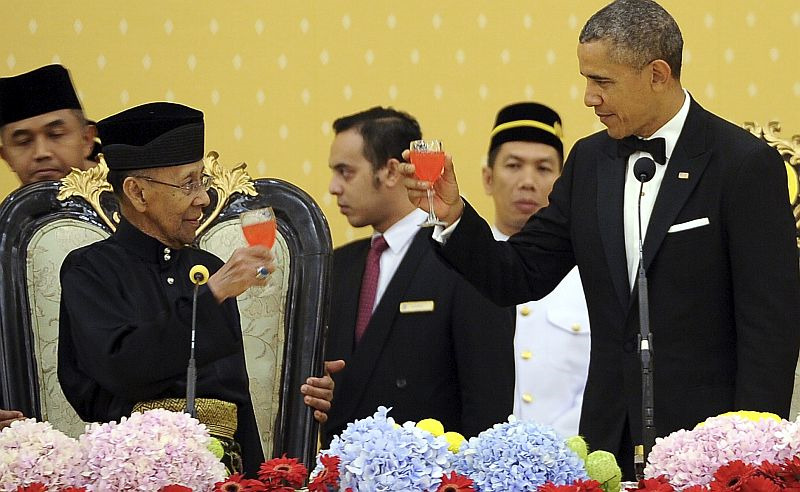 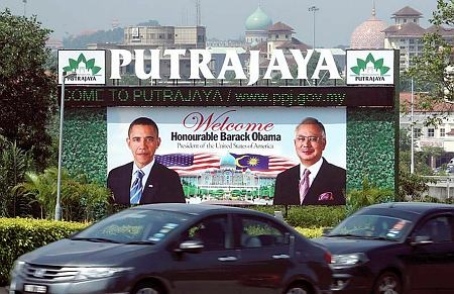 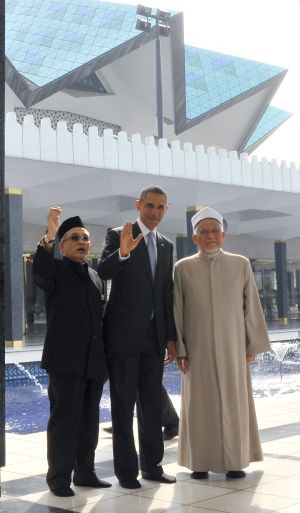 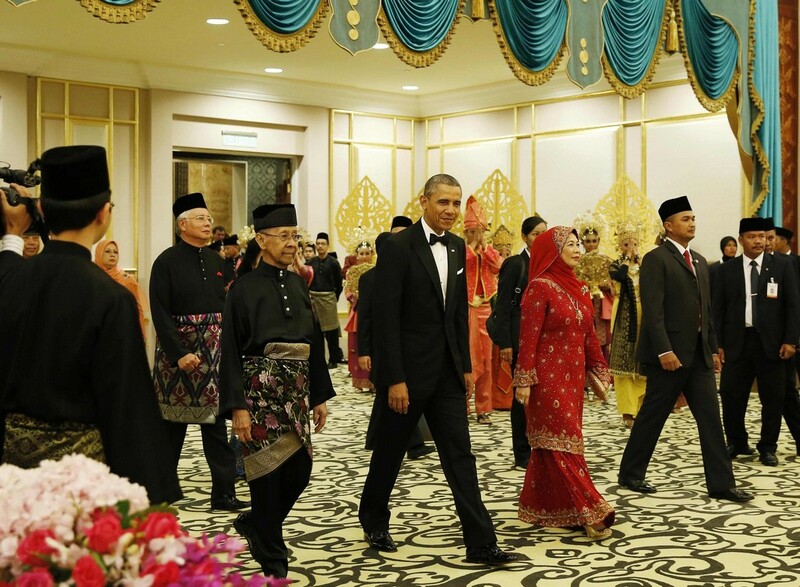 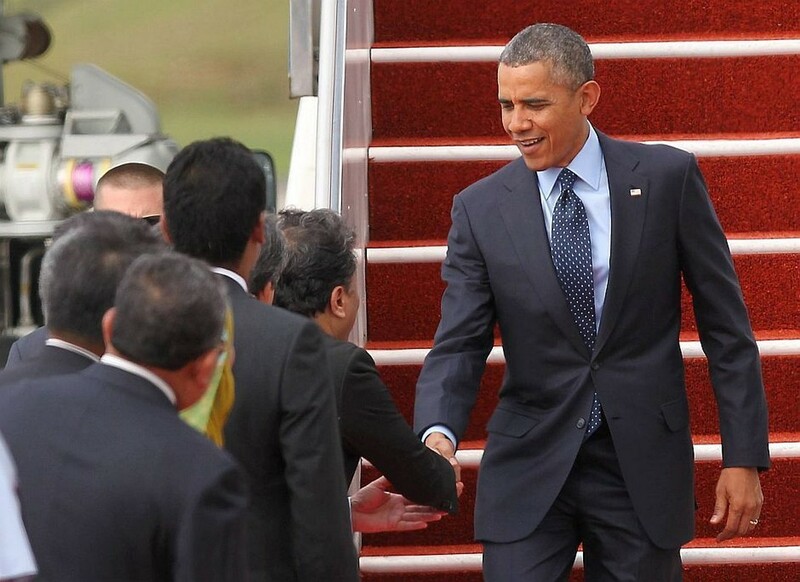 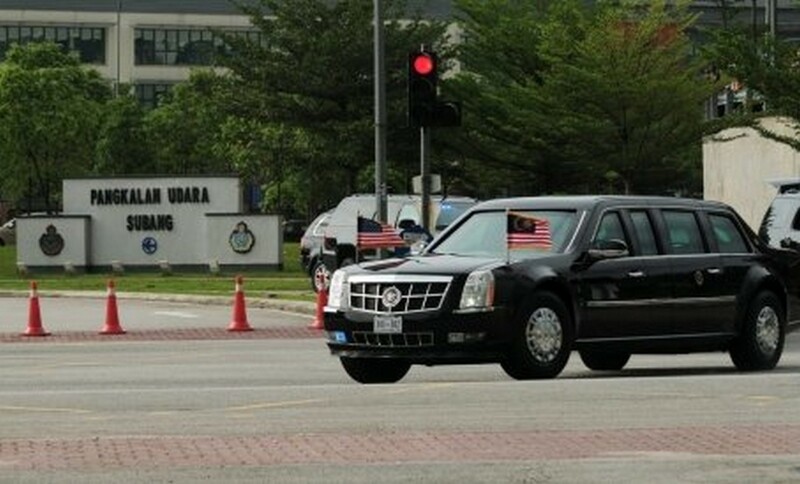 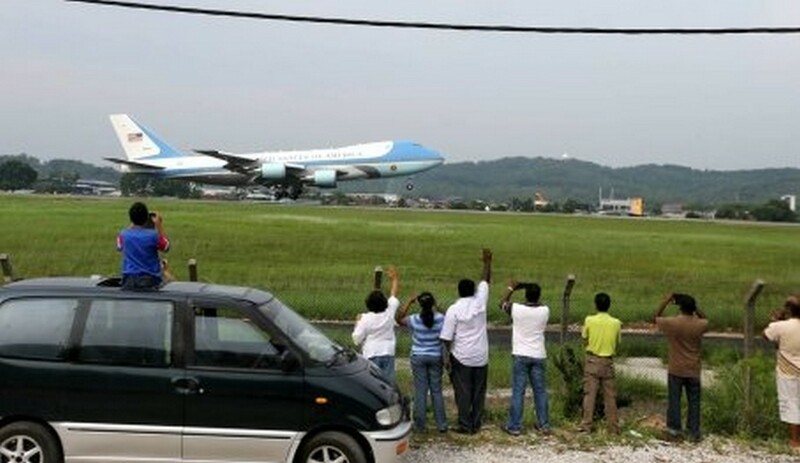 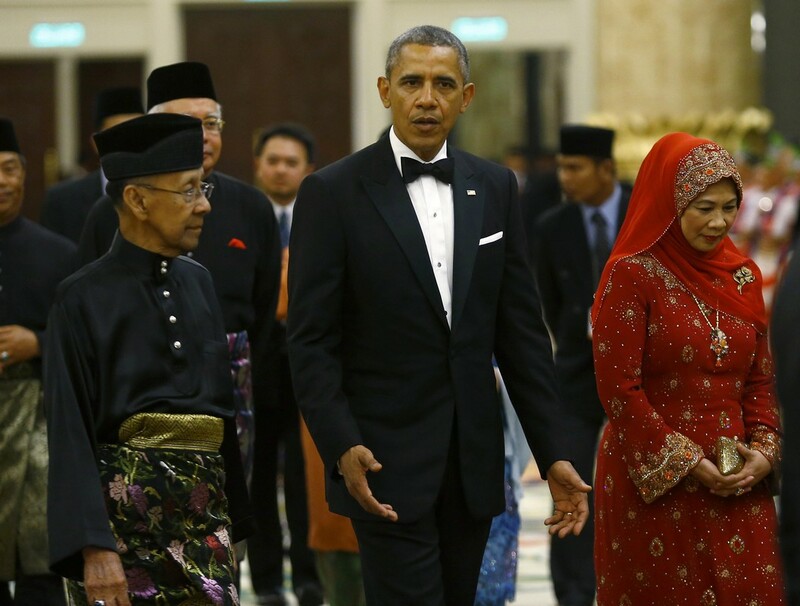 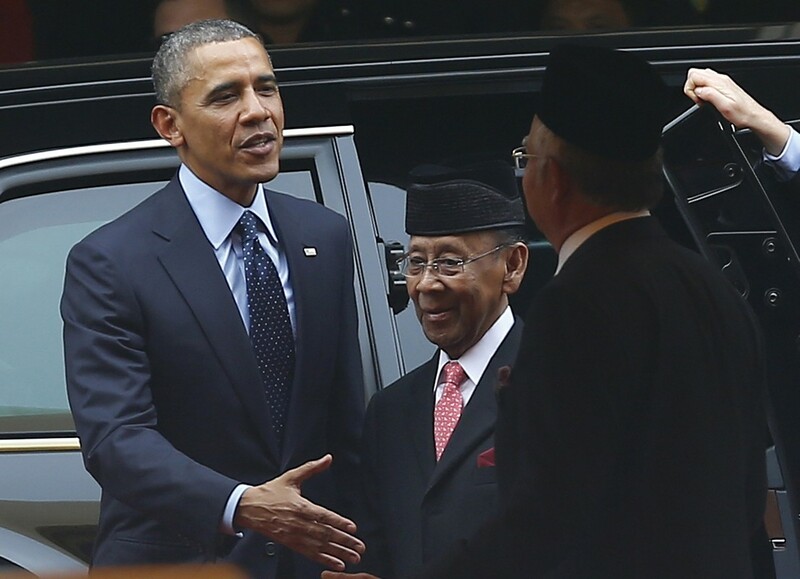 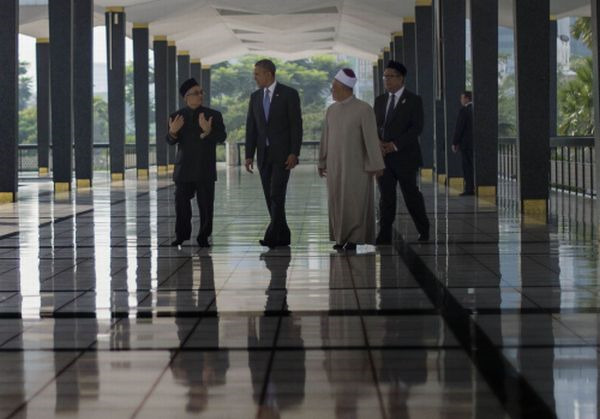 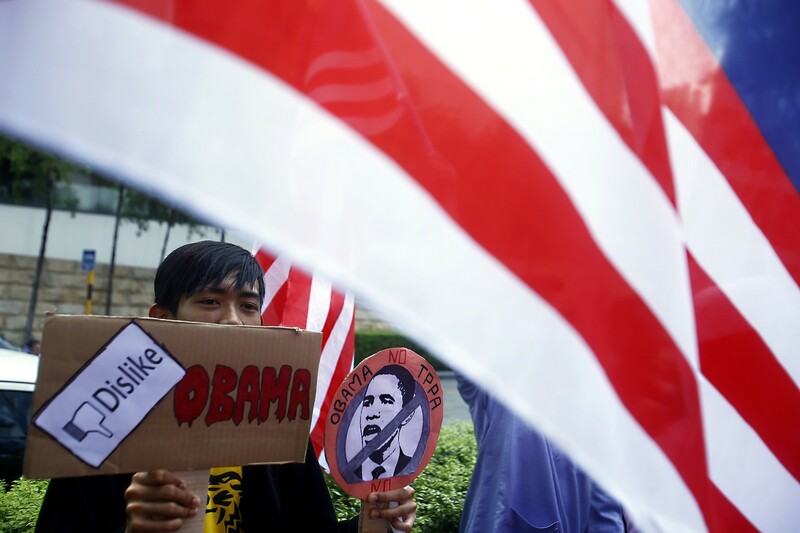 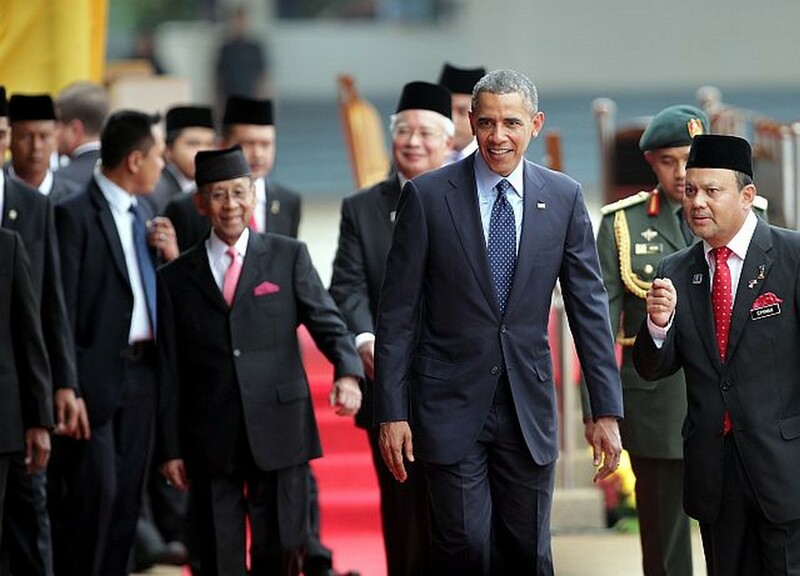 Obama was welcomed by the Yang di-Pertuan Agong Tuanku Abdul Halim Mu'adzam Shah and Prime Minister Datuk Seri Najib Tun Razak, among others. 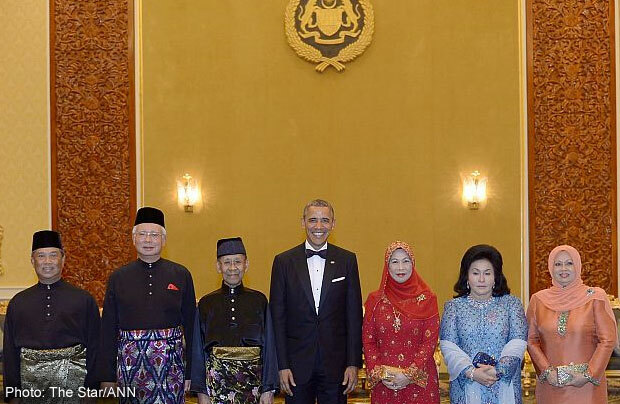 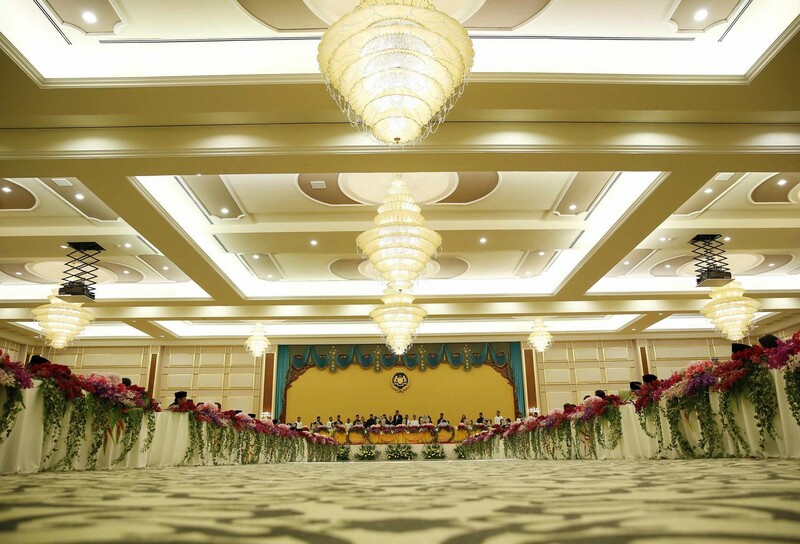 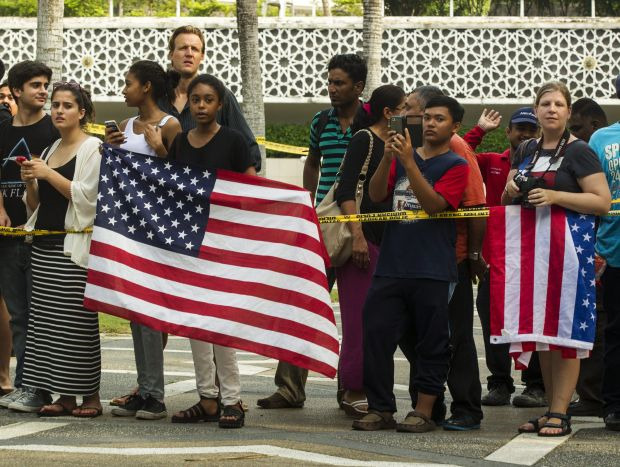 After the leaders made their way to the royal dais, the American national anthem, The Star-Spangled Banner, and Negaraku, were played. 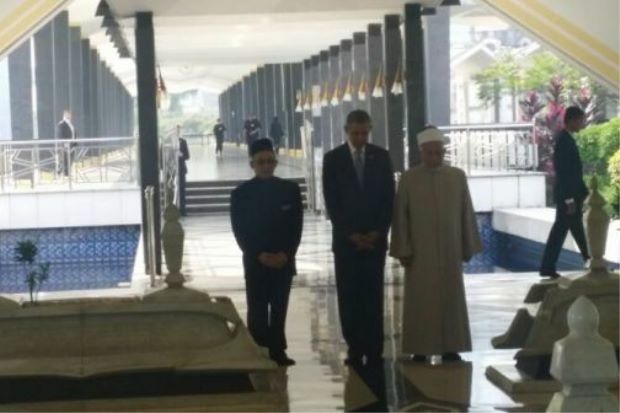 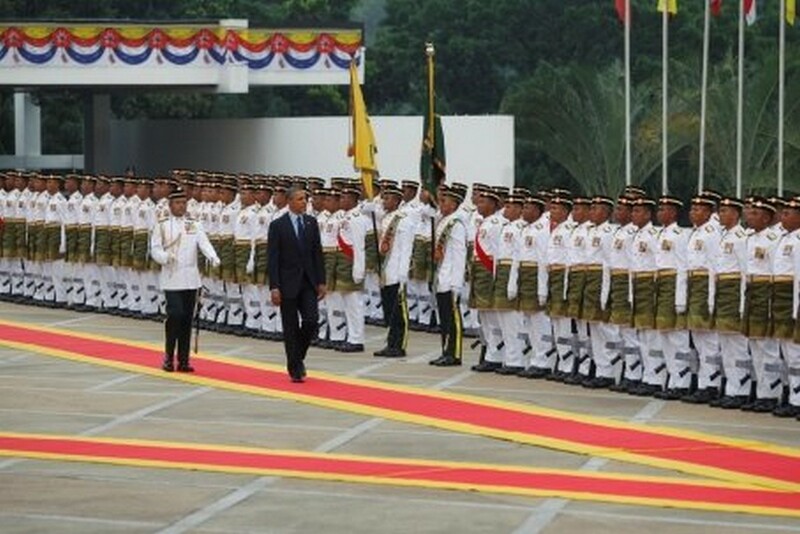 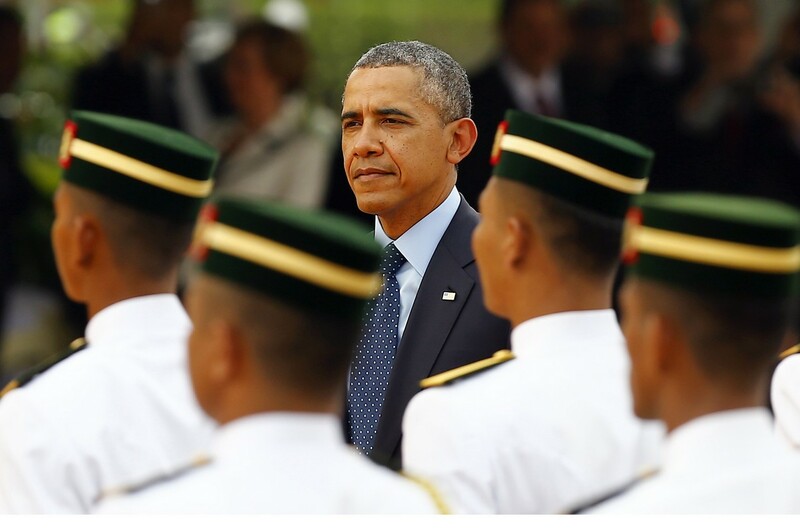 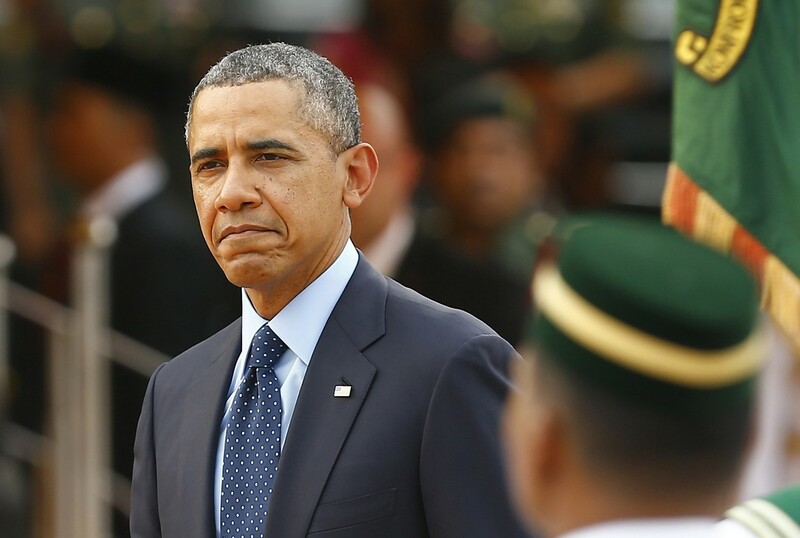 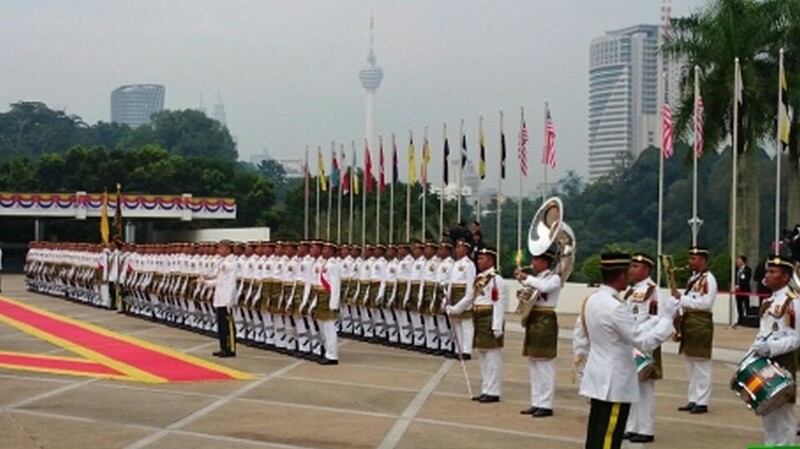 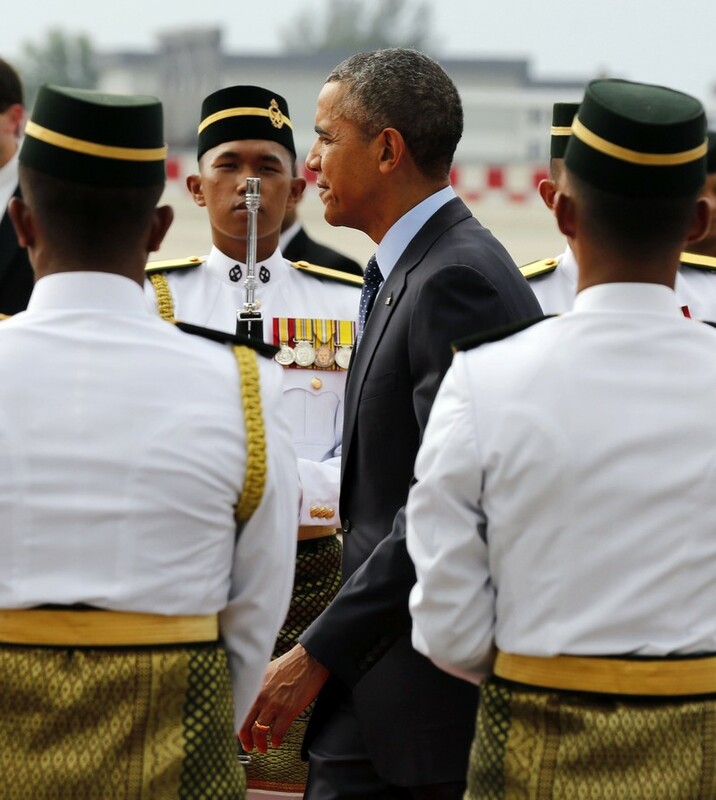 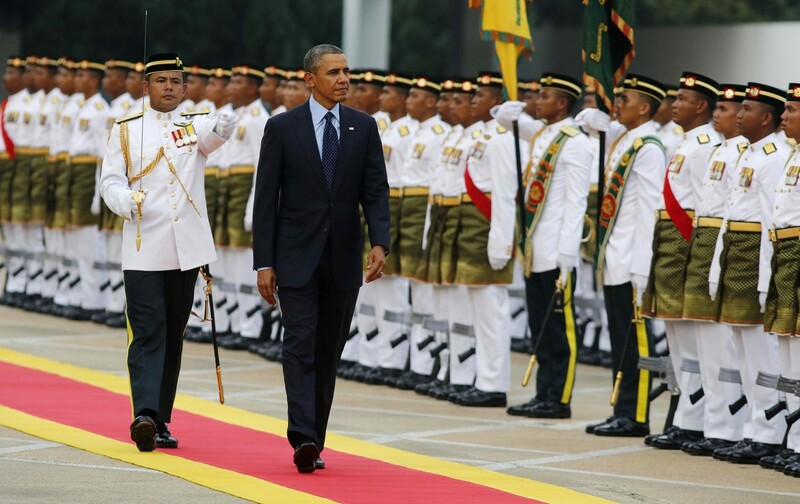 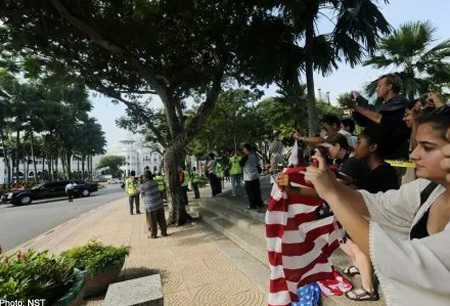 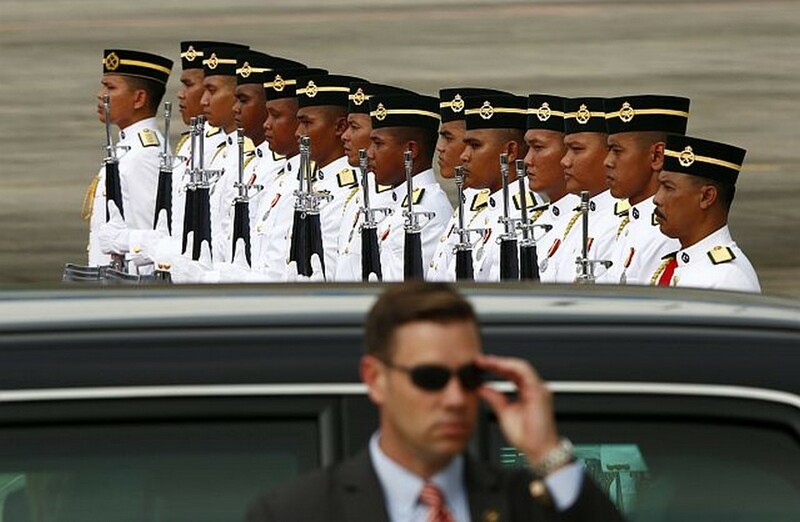 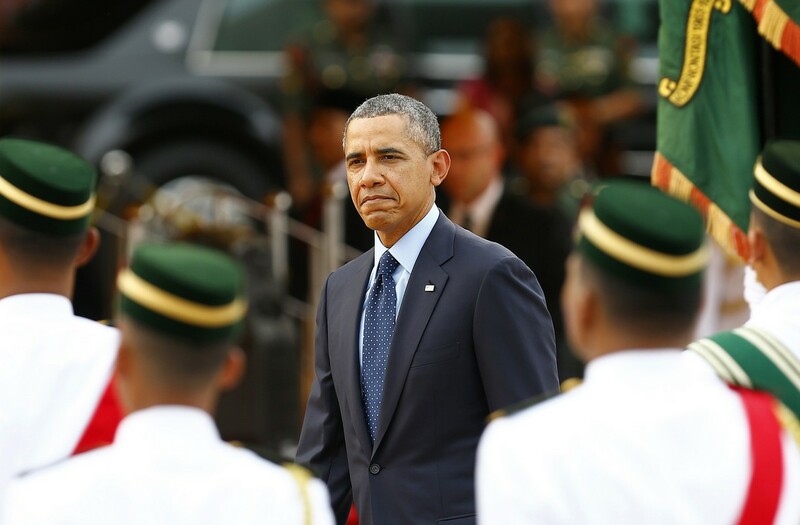 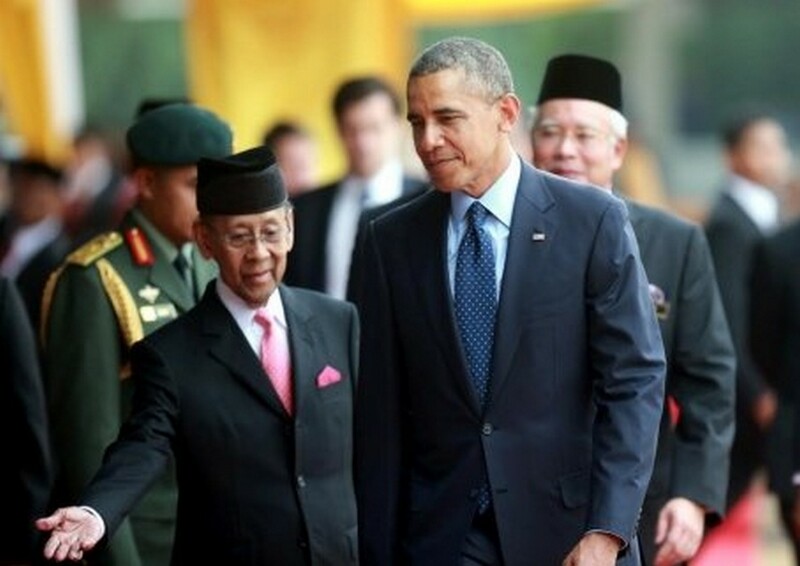 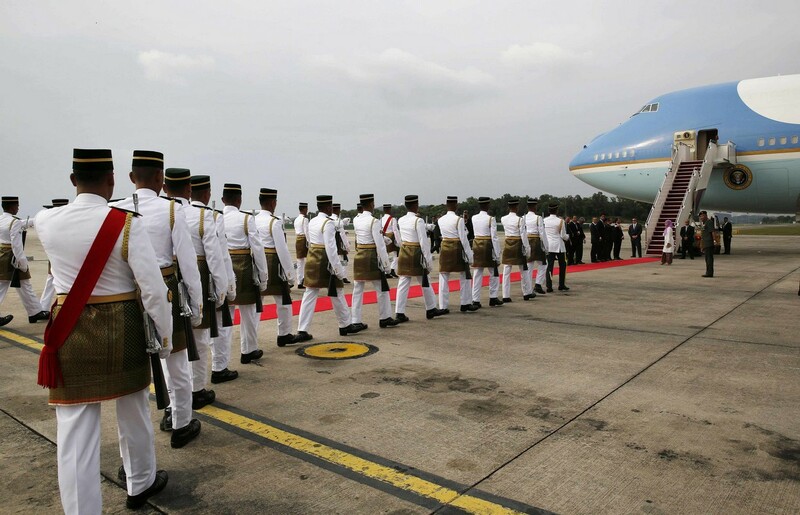 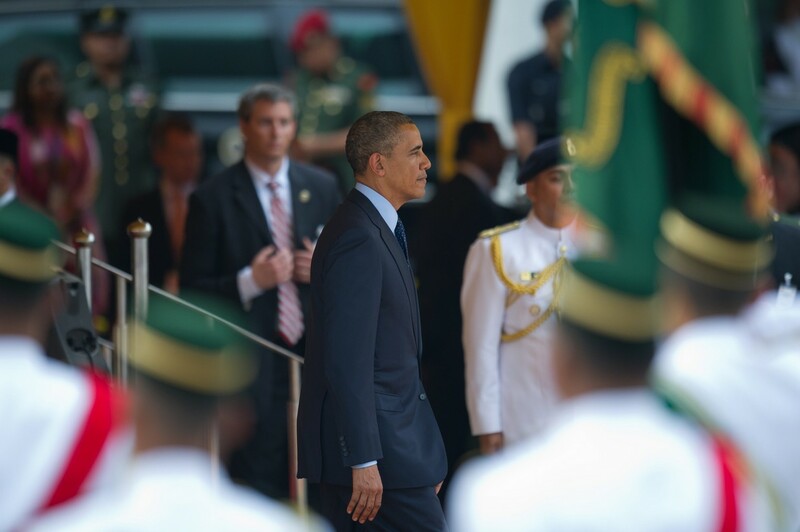 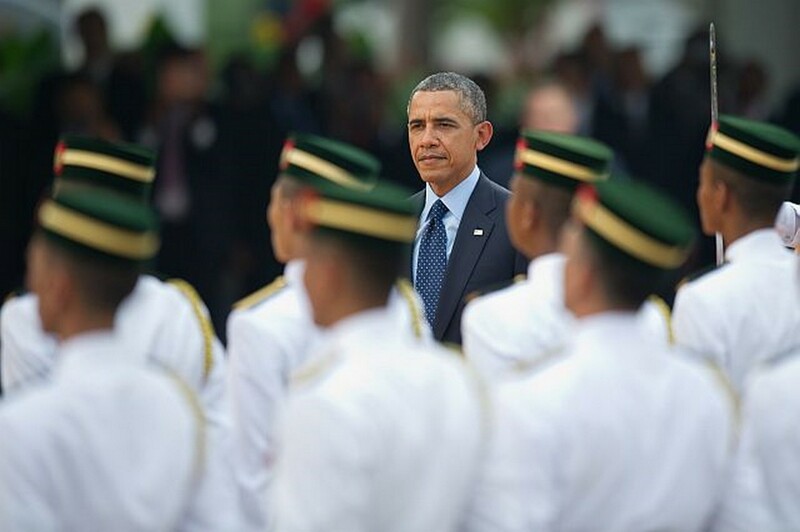 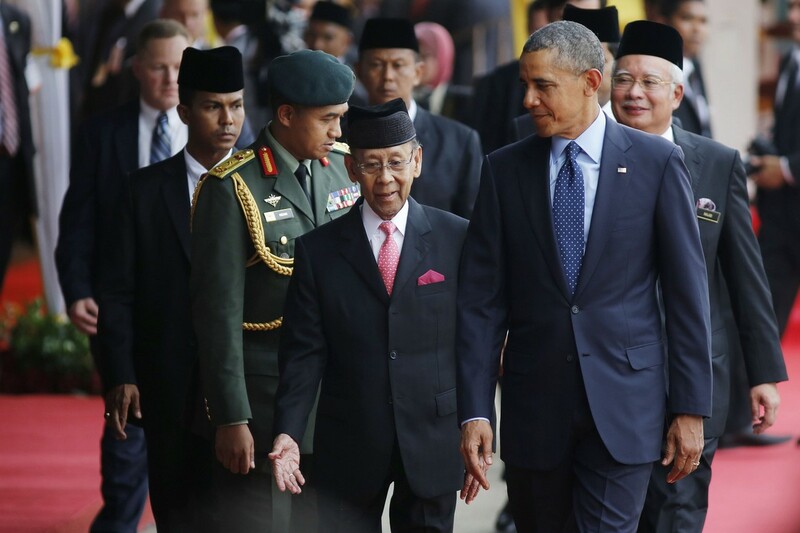 Obama inspected a guard-of-honour mounted by 107 officers and men from the First Battalion of the Royal Malay Regiment led by Major Amriza Mohd Asshari. 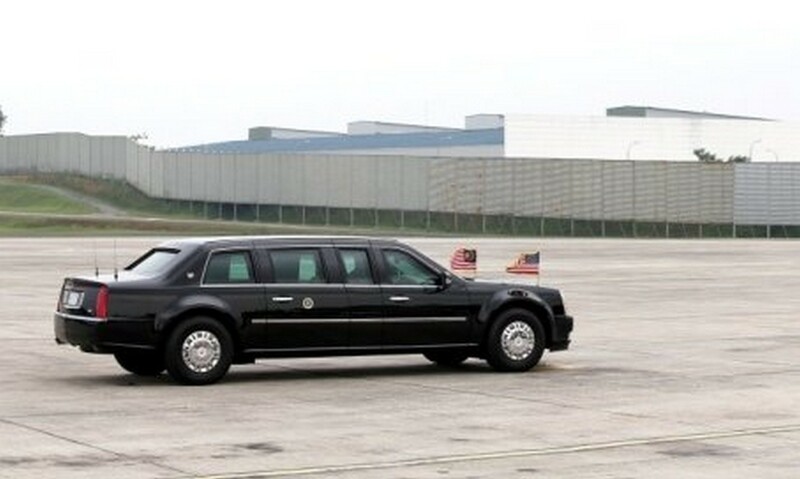 The ceremony was also marked by a 21-gun salute. 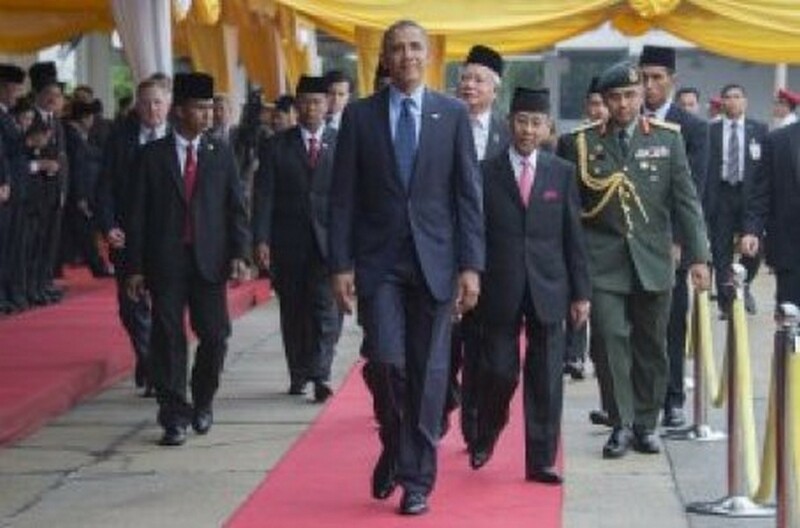 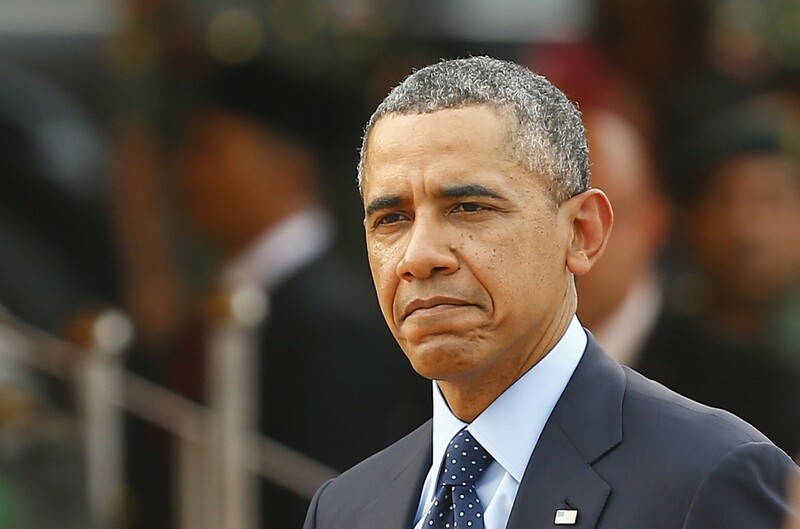 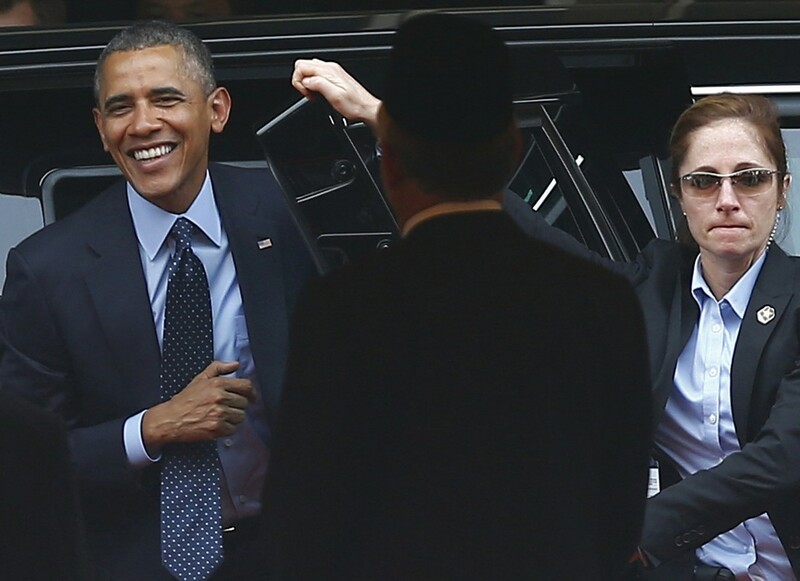 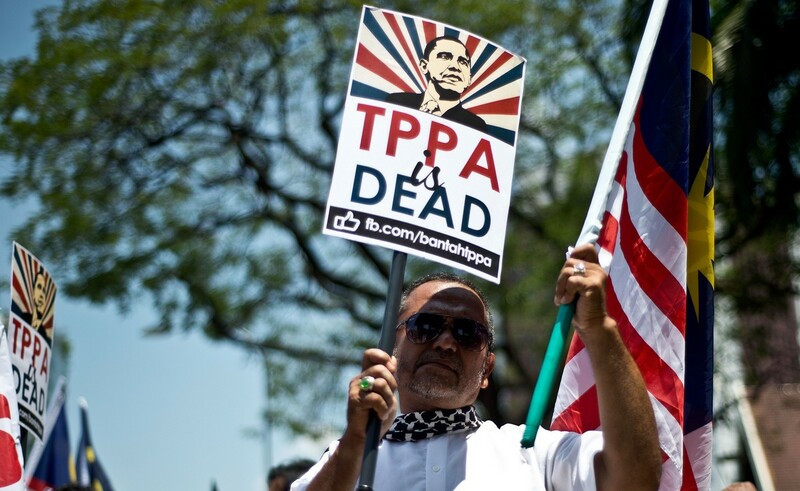 Obama was later introduced to Cabinet ministers, members of the diplomatic corps and dignitaries. 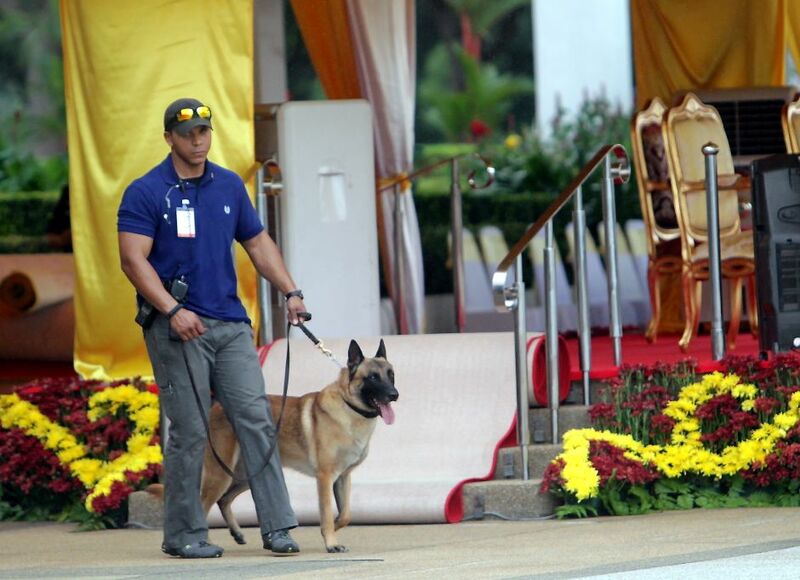 Security was tight at Parliament Square with a strong presence from police along with US Secret Service agents. 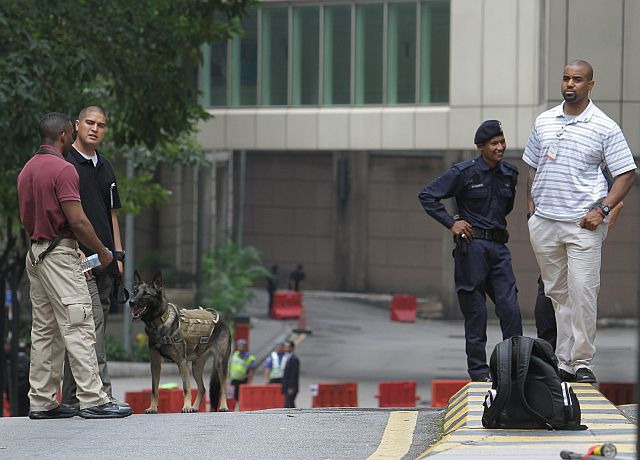 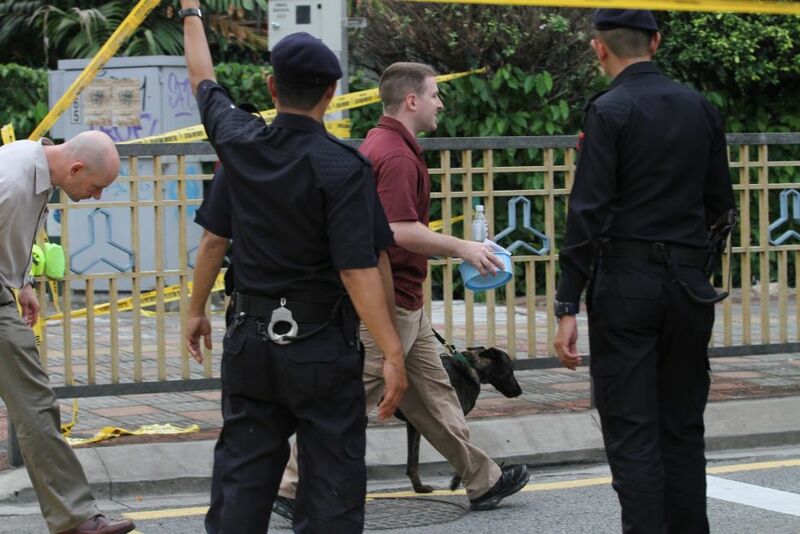 An agent with a Belgian Shepherd was seen sweeping the ground for explosives. 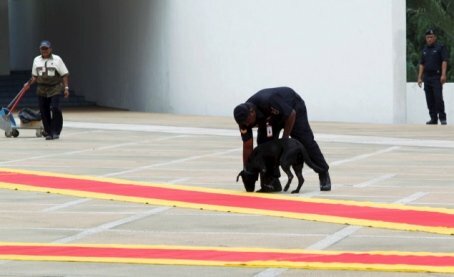 There were also two black Labradors from the police K-9 unit. 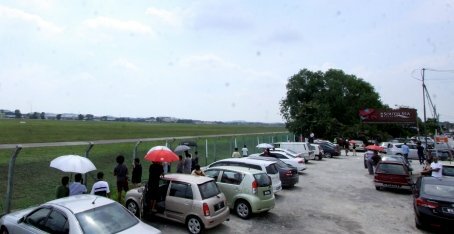 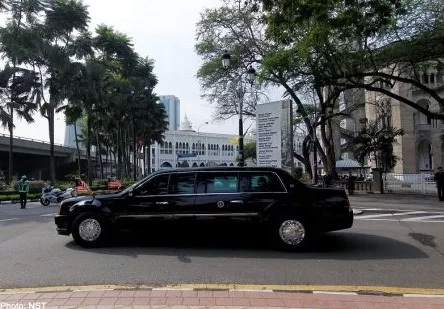 Members of the media were instructed to arrive before 3.30pm while dignitaries had to come before 4.30pm for security checks. 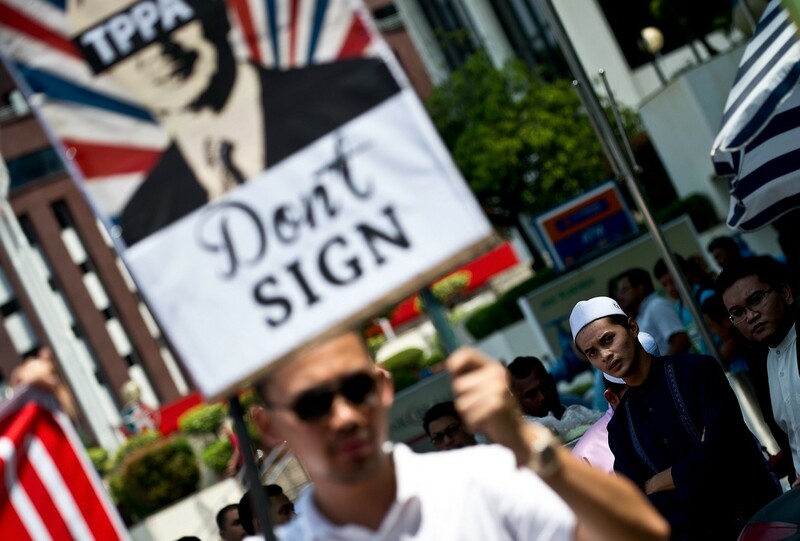 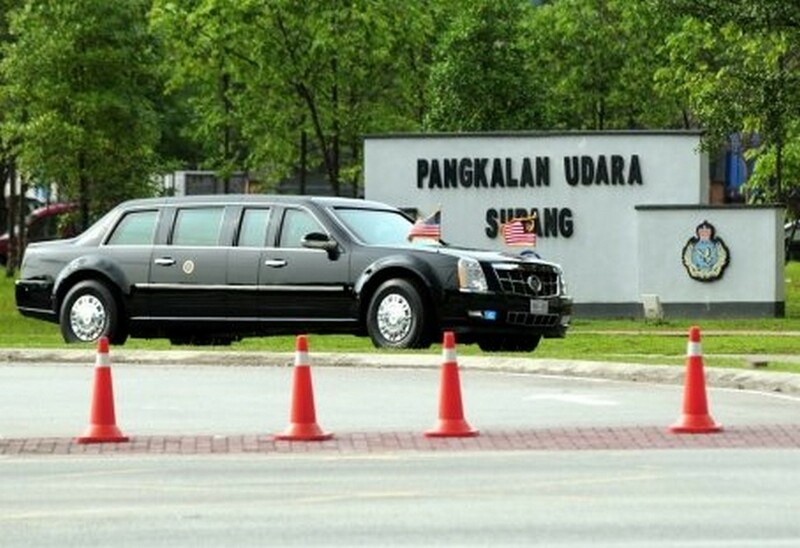 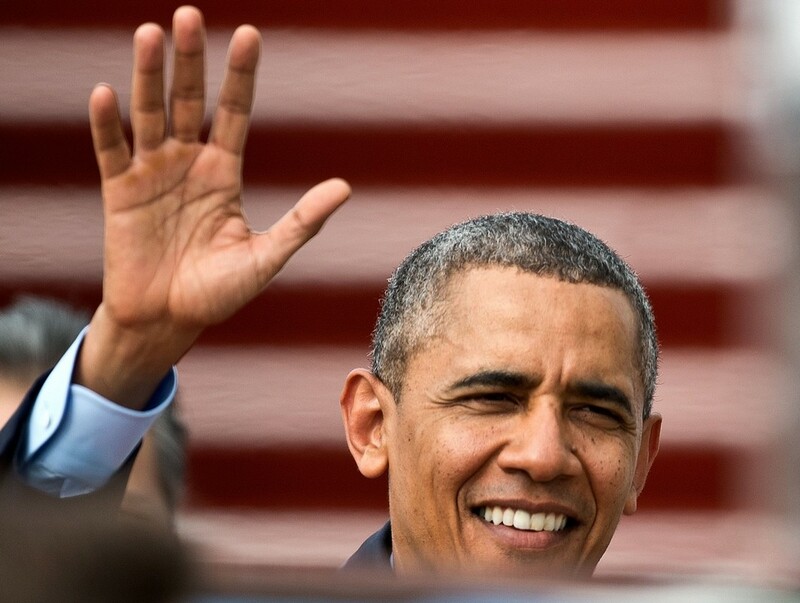 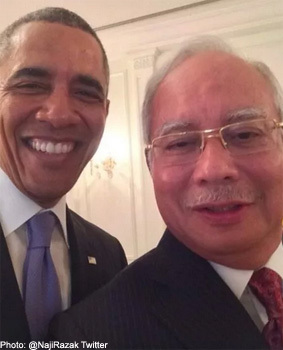 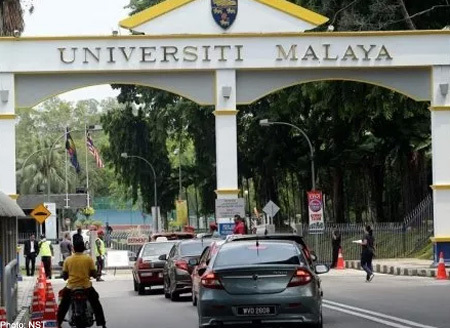 Obama is scheduled to hold talks with Najib today at Seri Perdana before going to Cyberjaya for the launch of the Malaysian Global Innovation and Creative Centre. 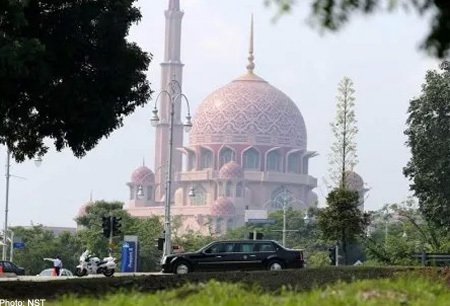 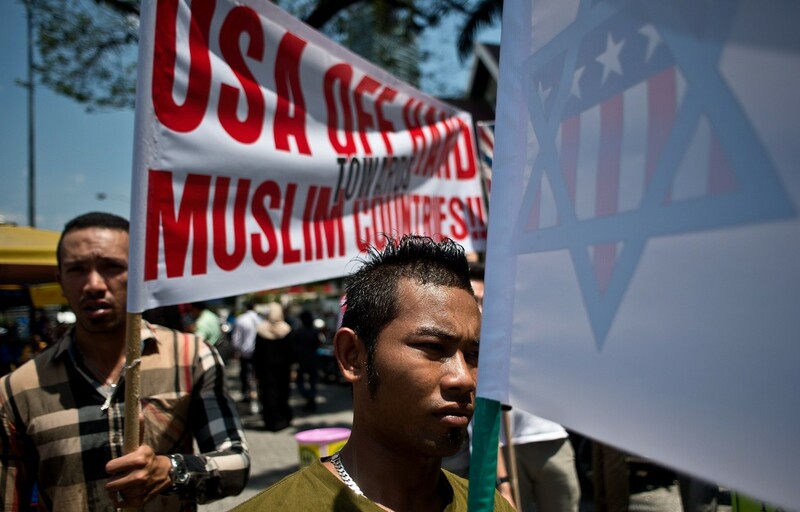 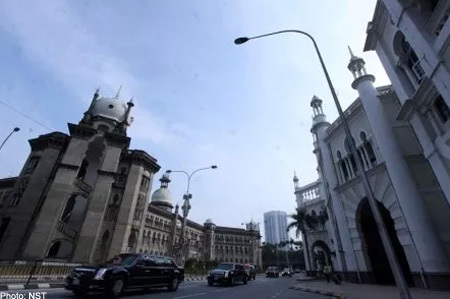 The US president will also hold a town hall session with young leaders from South-East Asia, besides visiting the National Mosque. 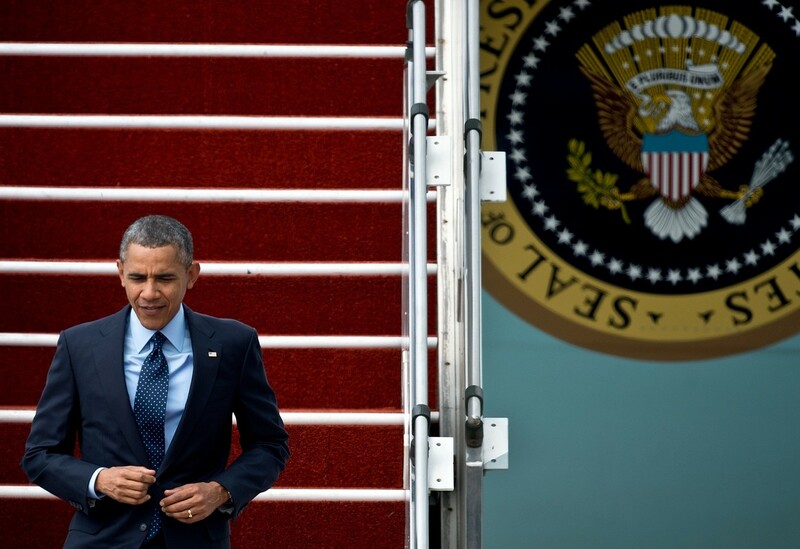 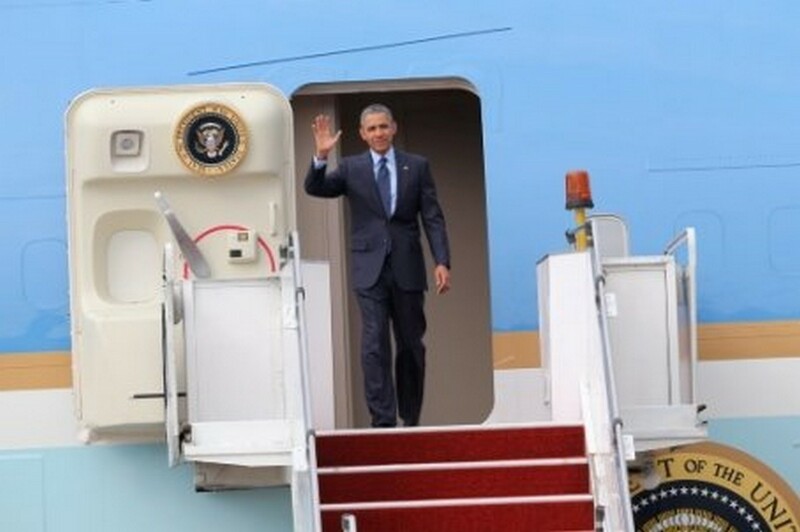 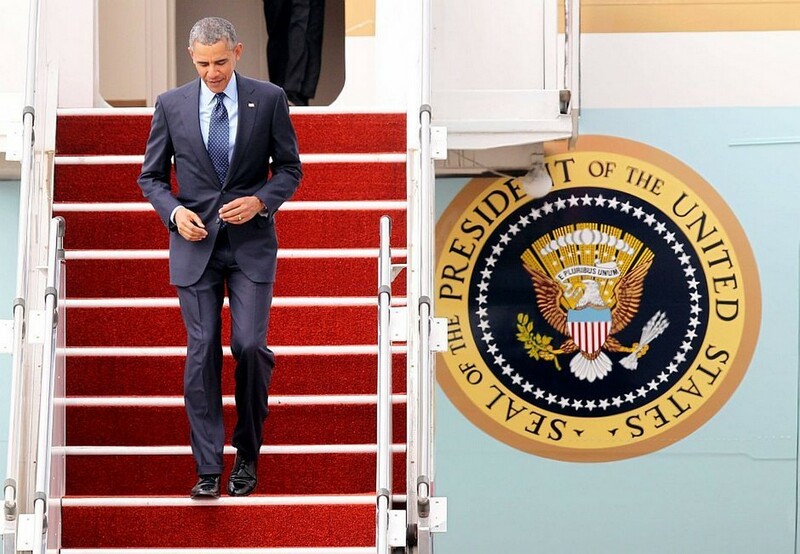 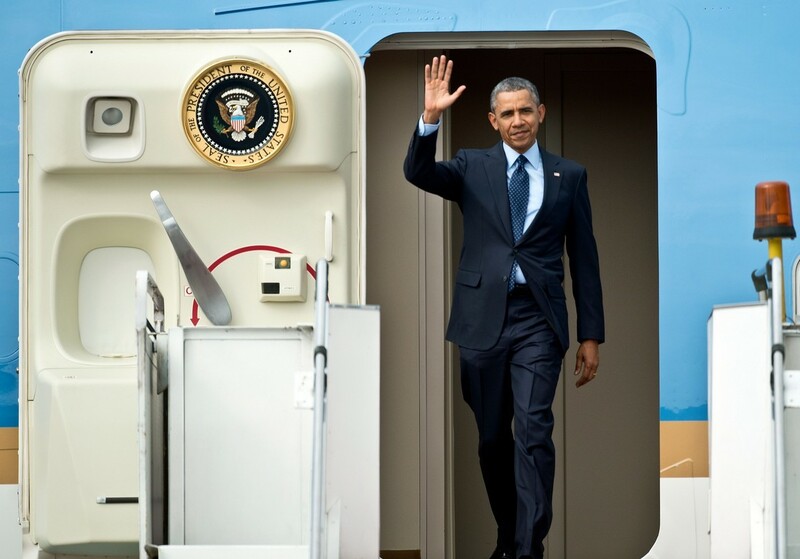 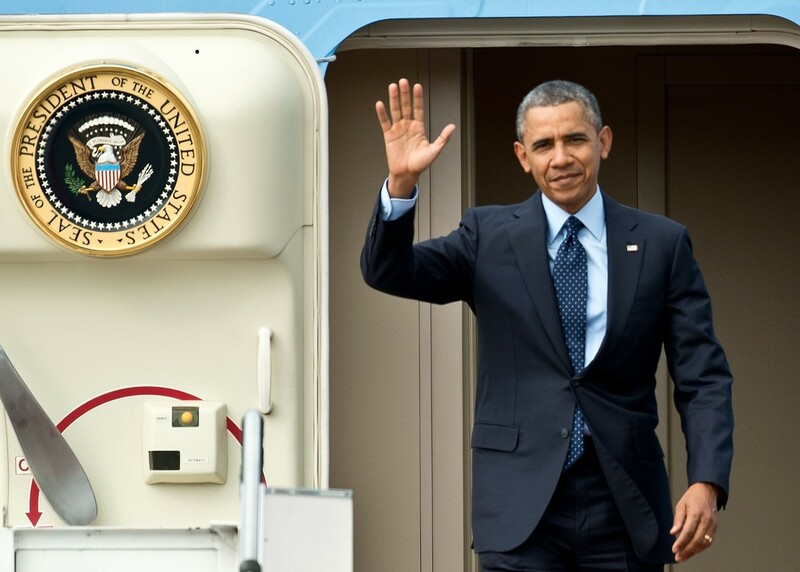 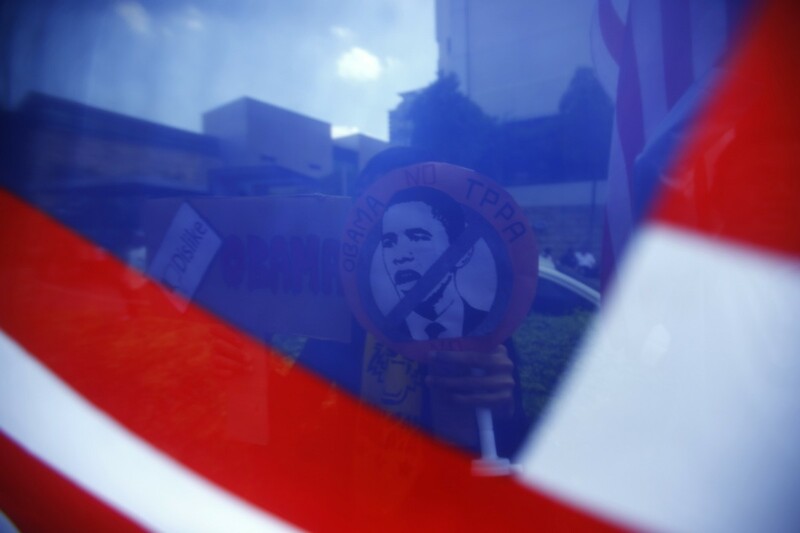 Obama leaves for the Philippines tomorrow.